1. Consider who your audience is and what their background cultures, wisdom and religions are. Violate this rule and you will never connect, and in fact with alienate your audience. There is a simple solution-do your research. 2. Pre-present your speech to a cross section of those attending. Words have many meanings, with jokes using the play on words a prime example of what needs to be eliminated from most speeches giving to international audiences. 3. Dress the part expected of you for the occasion. The audience will quickly access your speech from the clothes you wear. A wardrobe consultant is invaluable in many cultures. 4. Body movements and especially hand jesters have many unexpected consequences. Again, it is best to learn the culture or ruing your international speaking career quickly. 5. PowerPoint presentations need to be examined and corrected for many potential problems. For example, are the people in the pictures of a different authenticity than those in the audience, or perhaps the photos might be obscene in a different culture? 6. Working with interpreters requires you to be precise and to remember you are a team, thus meaning you have to shorten sections of the speech so they interpreter can keep up with you, but still keep the flow smooth. Sharing the speech with them early can bring huge benefits during the speech. 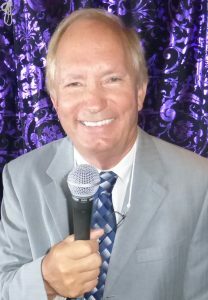 Johnny Ray is an international speaker in the area of charisma and executive branding.